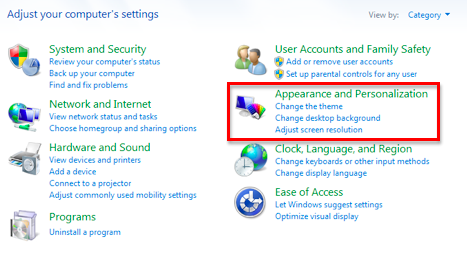 On the next screen, click on the link that says “Change the theme” (under Personalization). Scroll down and select a theme in the Basic and High Contrast category. 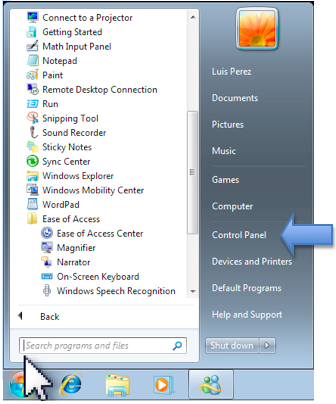 To change back to the normal view for Windows 7, select one of the Aero or Basic themes in the Personalization window.